In an original story inspired by the blockbuster film, The Scorpion King: Rise of the Akkadian, the Akkadians were a tribe of warriors unparalleled in the deadly art of assassination. Their skill is put to the ultimate test when a dark lord named Magus is determined to harness the powers of the Underworld. 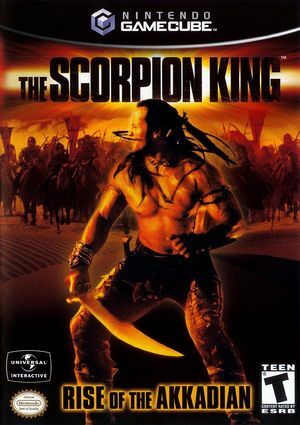 Play as The Scorpion King using all of your wits, training, and weapons to defeat Magus before he unleashes an army of bloodthirsty creatures on mankind. In game cinematics require XFB real to play properly. Fixed with Hybrid XFB in 5.0-5874. The graph below charts the compatibility with The Scorpion King: Rise of the Akkadian since Dolphin's 2.0 release, listing revisions only where a compatibility change occurred. This page was last edited on 1 March 2018, at 08:26.